Emmeline Luck serves as SEEA’s Policy Associate, and has held this job since 2018. In her role she tracks local, regional, and national policy trends and developments to inform Policy Team decisions. 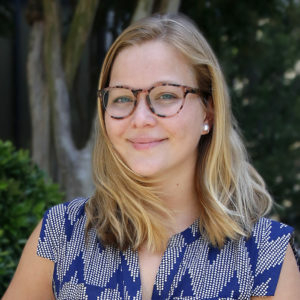 Emme graduated in May 2018 with a degree in Environmental Sciences from Emory University, where she also worked as the Communications Intern with the Office of Sustainability Initiatives. In addition to her passion for environmental sustainability, Emme loves hiking, traveling, and practicing yoga. She is also interested in studying foreign languages and cultures, and is fluent in French.